Summary: 13-year-old Katrin DuBois decides it’s never too soon to start an autobiography. She needs to set the record straight about the outrageous rumors concerning certain adventures that began when she was in 6th grade. That’s when her elder sister, 8th grader J. Dyanne, began exhibiting extraordinary detecting powers. Volume 1 begins in the late summer of 1968 on the south side of Chicago, a turbulent time before cell phones, laptops and text messages became essential elements of pre-teen life. The girls manage to thrive in a world of social change with multi-generational family support, creative quick-thinking and fearless inquisitiveness. The dog days of August find them prohibited by their parents from visiting the Central Library downtown because of the riots during the Democratic Convention. However, there’s plenty of adventure in their own neighborhood as they become swept up in family mysteries, neighborhood political schemes and discovery of a surprising legacy of psychic, even supernatural, talent. 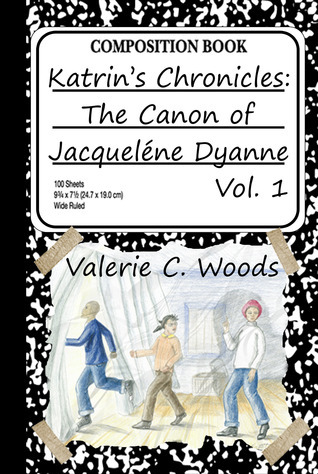 Review: Katrin’s Chronicles is an odd—but fun—little book that blends mystery and fantasy with the backdrop of 1968 Chicago and more than a dash of Sherlock Holmes. Katrin functions much as Watson did in the Sherlock Holmes stories: she is the narrator for her sister’s adventures (to set the record straight, as it were) while still being an important agent in the story. And while Katrin is a great narrator, my major complaint with any story told in this style is that I often feel more removed from the story than I want to be. Katrin only explains what J. Dyanne picked up on and the deductions she made after events have concluded instead of in the moment, even though Katrin is telling the story three years after the fact. Katrin also has a few narrative affectations that take some getting used to and that occasionally pulled me out of the story. The book is also at an awkward crossroads between middle grade and young adult. Thirteen-year-old Katrin—with an impressive vocabulary—is telling the story of what happened when she was ten, but her teenage sister is the one spearheading the adventures. It left me more than a little confused about where I would shelve it, though I ultimately settled on the lower end of the YA spectrum. That said, I really enjoyed the world Valerie C. Woods created. The world was all the better for the historical grounding, especially since the story needed a solid anchor once all of the psychic/supernatural elements started popping up. I do wish that the story had explained more about what rules/limitations the supernatural had, but I suppose that’s something that will be explored in more depth in later volumes. As it is, the hunches/dreams both J. Dyanne and Katrin get serve to point them in the correct direction as they go about solving various mysteries, but the girls generally still have to find the actual evidence they need. On occasion, the supernatural help sometimes makes the mystery seem too easy. I enjoyed Katrin’s sprawling family, particularly in how so much has been hinted at but not explained, like how Katrin’s mother chose not to pursue her own supernatural talents. There are stories—many of them—skulking about in the background that make the world richer and, I anticipate, are seeds for the future installments of the series. Recommendation: Borrow it someday, especially if you like Sherlock Holmes-esque mysteries. The historical setting and supernatural elements are integral and appealing parts of the story. Katrin is a fun narrator, but the emotional distance with the three-year gap between recording the adventures and actually experiencing them may leave some readers cold.